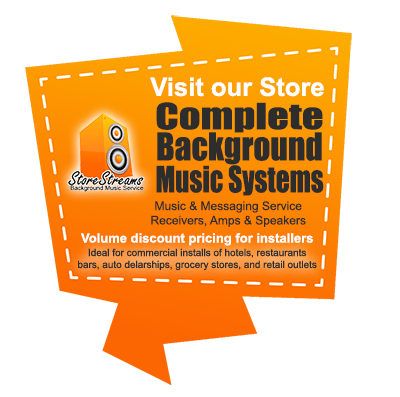 StoreStreams now offers a background music service resale opportunity for low voltage installers. The Store Streams in store audio platform is helping established contractors bottom line by offering a complete turnkey solution for retail background music services that yields installation revenue for its resale partners. The StoreStreams background music service is easy to implement and install. It is usually a matter of plug and play. If your company is already installing digital signage, security cameras, network cabling / switching, Voip and or audio visual equipment the StoreStreams background music service is ideal for you. 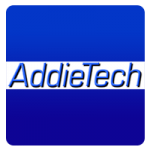 Gain additional income and job opportunity installing StoreStreams speakers, amps and audio receivers in retail commercial locations. The StoreStreams’ technical sales team is prepared to help all commercial installers and A/V pros integrate its service into any number of projects they have where in-store audio is required. StoreStreams provides the right technical know-how that can make all the difference in customer satisfaction. Commercial installers and re-sellers of StoreStreams can now purchase complete background music systems from StoreStreams. All purchased playback equipment will come shipped with the designated background music feed for your customer. Partners are often treated as revenue streams and not true business partners. We CHOSE to be different. We all have to work together to succeed. The StoreStreams background music service platform is a program that offers partners the right services, tools and features to make both you and your customers’ lives easier every day.